Verizon Wireless today shared launch details concerning the new Palm companion device. Verizon says the small smartphone will be available online and in stores starting November 2. Big Red is offering several ways to finance the phone. The Palm can be paid off over 24 months for payments of $14.58 per month. Alternately, customers can sign a two-year agreement and pay $299 for the Palm, or buy it outright and contract-free for $349. The Palm companion device requires a $10-per-month Verizon NumberShare plan that is anchored to a standard smartphone service plan. The idea behind this diminutive device is to allow people to access their vital apps when needed, but keep them from staring at their screen all day. The Palm features an aluminum chassis with Gorilla Glass panels and an IP68 rating for protection against dust and water. It syncs messages, calls, and other data between itself and the primary phone. 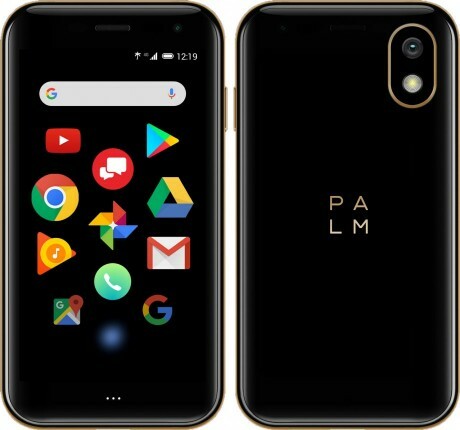 The Palm has a 3.3-inch HD screen, Snapdragon 435 processor, 3 GB of RAM, and 32 GB of storage. It has a 12-megapixel rear camera with flash and an 8-megapixel selfie camera. The Palm includes LTE, WiFi, GPS, and Bluetooth, with an embedded SIM card. It has an 800mAh battery and relies on face unlock for security. The phone runs Android 8.1 Oreo and is compatible with millions of Android apps. Palm has customize the software to minimize notifications and interruptions. Palm has updated its tiny Android phone to operate as its own standalone smartphone. It was originally introduced as a companion device that required a "full" smartphone to share a phone number and sync with. Apple today revealed a new color option for the iPhone 8: (Product) Red. The red iPhone 8 carries over all the same features and functions from the older color variants of the iPhone.